After the destruction of New Babylon (Rome) in One HOUR in the previous verse, the merchants at sea watch the fire and smoke of the devastation weeping and mourning. Father K: “The business men in antichrist’s empire next take up the hymn of mourning. All they regret is the loss of their profitable trade. The excess profits they realized out of their activities of luxury enabled them to lead a voluptuous life. That prosperity came to an end as suddenly as it flared up. And these merchants shall suffer heavy losses because no one will buy their goods any more. They have no regrets for the death of the city’s inhabitants. 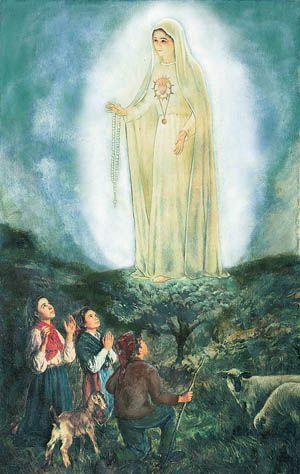 Dear Lady of Fatima, Save Our Children We Pray!